After an excellent showing in 2017, the Los Angeles Dodgers bullpen took a bit of a step back this past season. 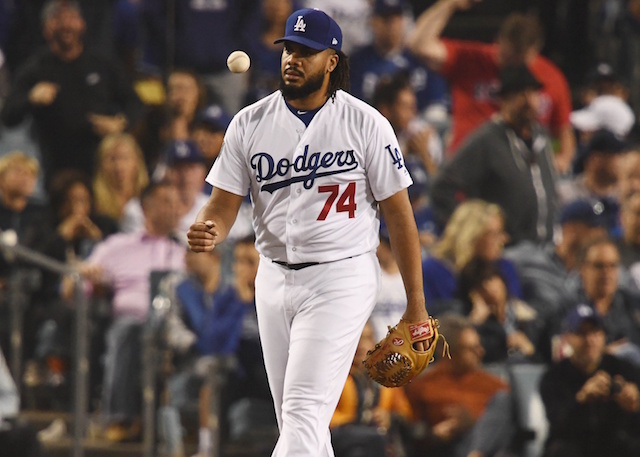 A plethora of injuries hampered the unit for much of the year, as well as the lack of an established setup man to help bridge the gap to closer Kenley Jansen. Right-hander Pedro Baez received the majority of those opportunities early on and initially couldn’t capitalize. He pitched to a 4.14 ERA over his first 36 appearances of the season, accumulating 43 strikeouts and 18 walks in 37 innings. Baez would bounce back in a big way, however, posting a minuscule 0.47 ERA across his final 19 19.1 innings of work. 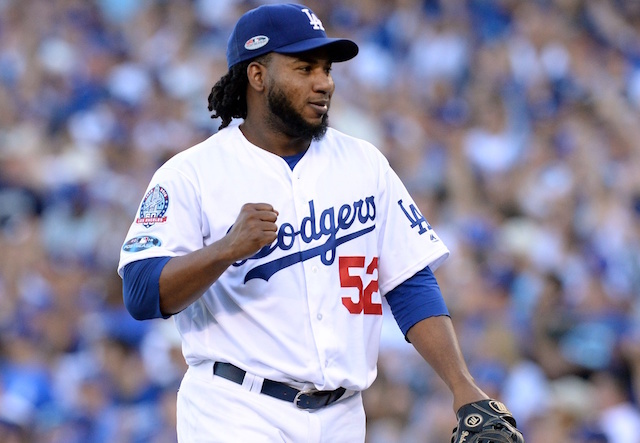 In those 19 games, the 30-year-old allowed just seven hits and five walks while striking out 19. “He was a fan favorite, wasn’t he?” Dodgers manager Dave Roberts joked. “It’s amazing how that changes, right? Well, we’ve always had faith in Pedro. And he had a rough stretch there for a while last year. Baez, who has battled inconsistency for the majority of his tenure with the organization, felt the wrath of fans at times. This was evident when he was booed off the mound upon entering a September contest against the Colorado Rockies. Roberts immediately expressed his displeasure after the incident and reiterated his support of Baez. He again expects Baez to be a vital member of the club’s bullpen next season. “Guys like him on the team. He’s going to be a staple for us next year,” Roberts said. “So it takes a tough, mentally tough player to kind of withstand coming out of that gate in left field and your home fans are not singing your praises, not clapping for you, and you’ve still got to go out there bow your neck and get an out. “I give a lot of credit to Pedro, a lot. “When you’re talking about a Latin player who can’t go out there and, you know, really express himself in Los Angeles, it’s tough. He’s fighting — it’s tough on Latin players.